Welcome to the Sixth GameDevNetwork jam, Fig Jam! What is this 'GameDevNetwork' you speak of? 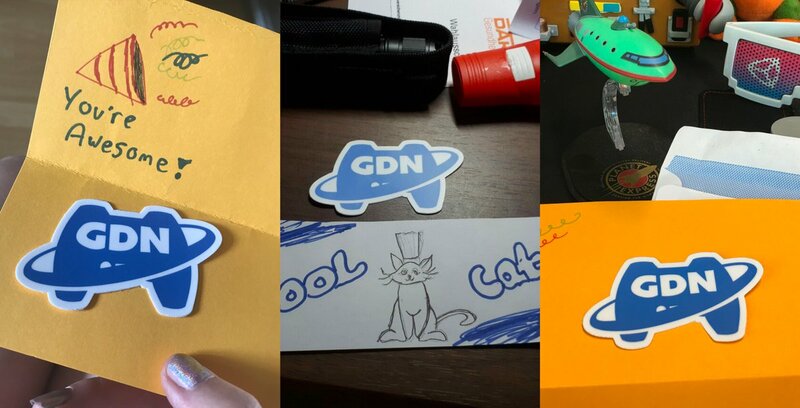 GameDevNetwork (GDN) is a community for anyone with an interest in game development, whether they're a AAA veteran programmer or someone that loves writing the ins and outs of game plots / mechanics. Whether you're looking for an extra teammate for a project, need help squashing that pesky bug or just want some feedback on your latest pixel art masterpiece, we're here! What is a game jam and why should I bother participating? Game jams are all about creativity, teamwork and experimentation! Don't be afraid to fail, as long as you enjoy yourself and create something, you're a winner and you have a new tale to tell. Maybe you'll stumble upon the next viral hit, maybe you'll create a buggy mess that's still entertaining as hell to play, either of those outcomes results in you creating something. I don't have a team! You'll have from Friday 23rd 00:00 GMT until Sunday 4th 23:59 GMT to create and submit your game. You hold all rights to anything created during the jam. Q: Can I have NSFW Content? A: Feel free to use free assets, just remember to credit the source! Q: Which engines can I use? A: Any engine you like, use whatever you feel the most comfortable with. Q: What's the maximum team size? We are thrilled to announce that the winning team will receive a 3 hour PR Planning and Consulting session with the fantastic GoPublix Game Media Relations. * She will help you coordinate your press kit, explain the important key collateral and information you need to have. * A full review of your game positioning, along with advisory on how to pitch the press. A murder mystery game with the quirk of reading the mind. Stay hidden, and keep your boss's secret! Are you a number wizard?